SHELLEY — A third East Idaho school is undergoing a forensic audit to investigate the potential misuse of public funds. Authorities recently ordered a forensic audit of finances at Shelley High School, Shelley School District Superintendent Bryan Jolley told Idaho Education News Thursday. Forensic audits are designed to examine and evaluate use of finances, often for use as evidence in court. Forensic audits of public schools are very rare and range greatly in depth and cost. The Idaho Public Charter School Commission recently ordered a separate forensic audit of funds at two charter schools in nearby Blackfoot. The Shelley School District did not provide details about an outside investigation into finances at Shelley High School, though Idaho State Police spokesman Tim Marsano confirmed Friday that state police are investigating “allegations of financial discrepancies” at the school. EdNews requested in an email to Marsano a copy of a contract for a forensic audit ordered as part of the investigation. Marsano has not responded to that request. Meanwhile, documents obtained by Idaho Education News detail a range of past transactions at the high school that may have contributed to both the outside investigation and the forensic audit. These transactions detail thousands of dollars spent on meals, flights, hotels, a professional football game and athletic equipment — often without receipts, pre-approval or proper documentation. The investigation and accompanying forensic audit of Shelley High School stem from financial inquiries into the overspending of more than $44,000 at the school in 2018. Jolley said both an internal investigation by the school district and a “limited scope” audit by private accounting firm Wipfli LLC accounted for “every penny” of these previously overspent funds. 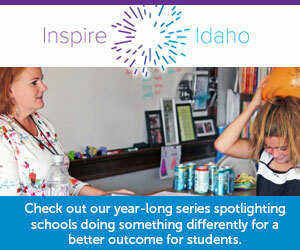 However, other “unrelated” findings from both inquiries prompted Jolley to file a report with both the local police and the Idaho Public Standards Commission, a state advisory group that can approve, suspend and revoke teaching and administrative licenses in Idaho. Jolley would not say whether local, county or state authorities were now investigating the school. He suggested that the investigation had started locally and “worked its way up” to a higher agency. EdNews visited the Shelley School District Thursday to view documents linked to either the forensic audit or financial inquiries conducted by the district and Wipfli. Jolley said the district had no documents linked to the forensic audit because an outside agency ordered it and was now investigating the school. Jolley added that the high school has since turned over financial documents, as a result of the investigation and forensic audit. The district has yet to receive a formal letter from Wipfli outlining the findings of its inquiry, Jolley said. However, Jolley and Shelley’s business manager Lanell Farmer provided EdNews with a two-page report of some findings from past financial inquiries by the district and the accounting firm. The report outlines transactions at the high school from September 2017 to June 2018 and reveals a range of purchases lacking receipts or invoices, details to verify a need, evidence of pre-approval and appropriate coding. A $745.50 “meal” at the Gaylord Opryland Resort in Nashville, Tenn., without “evidence of pre-approval” or “sufficient detail to verify purpose/reasonableness. Lords unexpectedly resigned in December, amid revelations that the high school had overspent by more than $44,000 in 2018. Jolley identified this additional outside audit as the forensic audit now underway at Shelley High School. Shelley is located roughly 15 miles south of Idaho Falls, serves around 2,300 students and receives about $12.5 million in state funding.